The Commonwealth dry dock has always been a placeholder. I created the original image for Korolov Shipping and just used it in the dry dock temporarily. Now I've finally updated the image to match the Commonwealth's new visual style. The dry dock has 16 separate pressurized bays for building or repairing ships. Each bay can hold a ship up to 50 meters long. 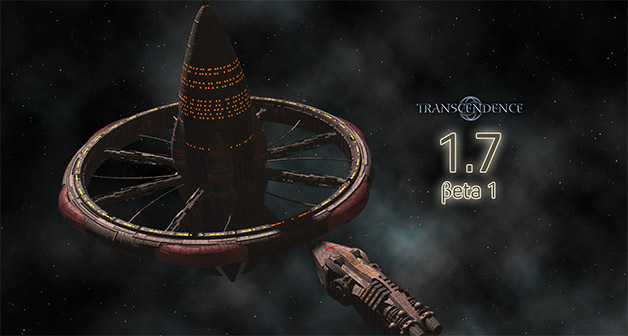 Transcendence 1.7 Beta 1 is ready! This release furthers the Benedict storyline and reveals more details about the Penitents. 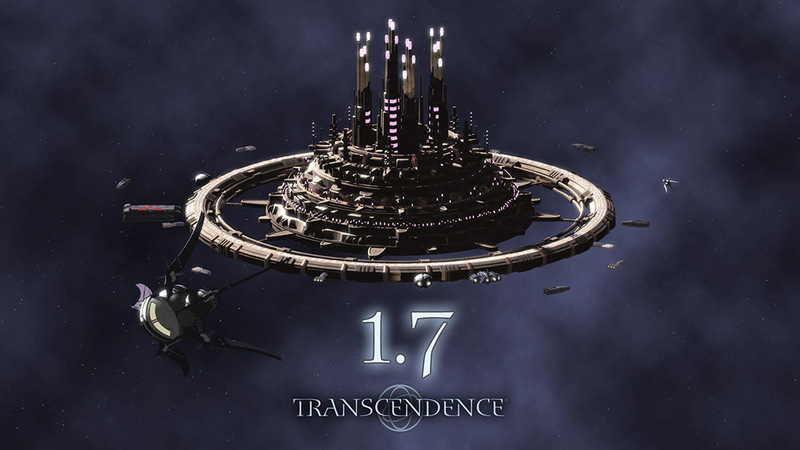 Transcendence 1.7 Alpha 2 is ready! For this release we've continued to focus on gameplay improvements, including mouse controls, keyboard mapping UI, and galactic map improvements. The complete series (26 episodes) is now available via YouTube. Watch as the developer of Transcendence tries to play his own game. 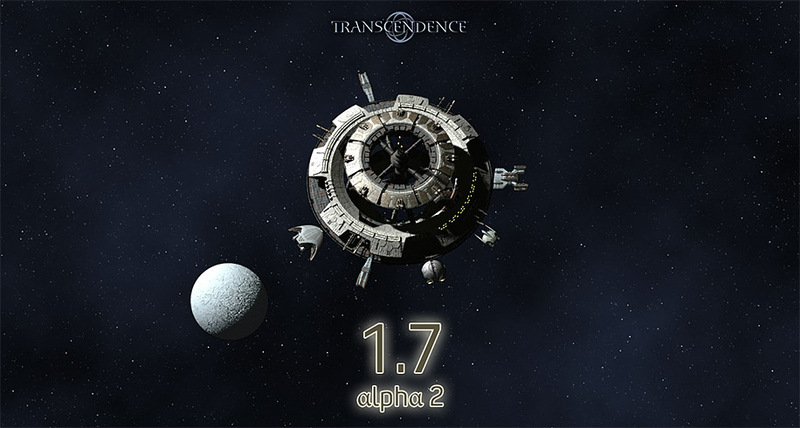 Welcome to the first alpha release of Transcendence 1.7. In the 2015 Annual Report I described 1.7 as being focused on gameplay improvements. 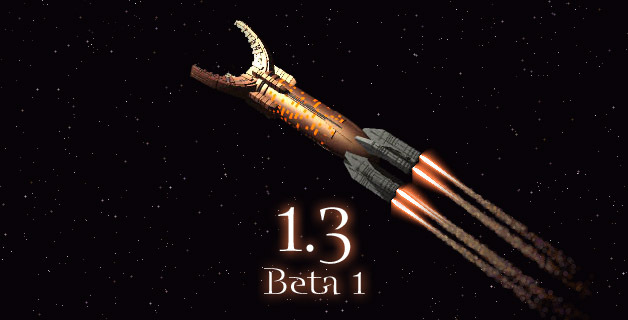 This alpha release begins those improvements with significant changes to weapons. In this version we're using DirectX 9, a modern 3D graphics API. While we're not (yet) using any 3D effects, DX9 gives us compatibility with the Steam Overlay and other add-ons. 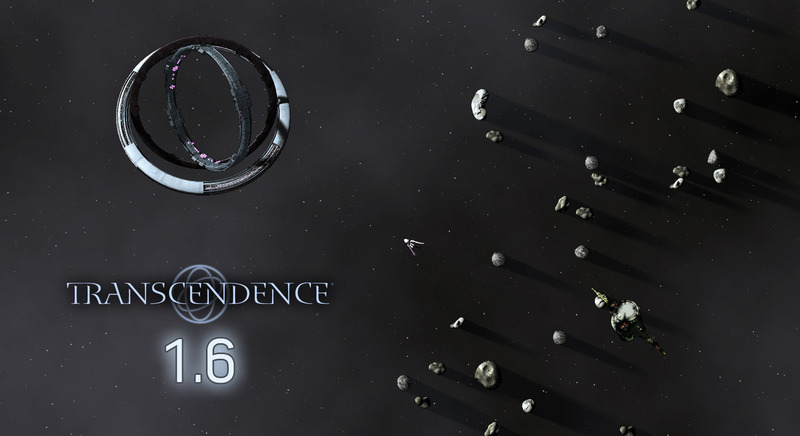 Transcendence 1.6 Beta 3 is now ready for download! This version implements the most significant graphical upgrade in the history of the game. Over the last few years I've concentrated on building up the infrastructure (e.g., the Multiverse) and creating more content (Corporate Command and Eternity Port). Now, as development begins on Part II, I've decided to upgrade the graphics engine, and I'm very happy with the results. I've spend this week working on upgrading the graphics engine for Transcendence. You can see the results for yourself. 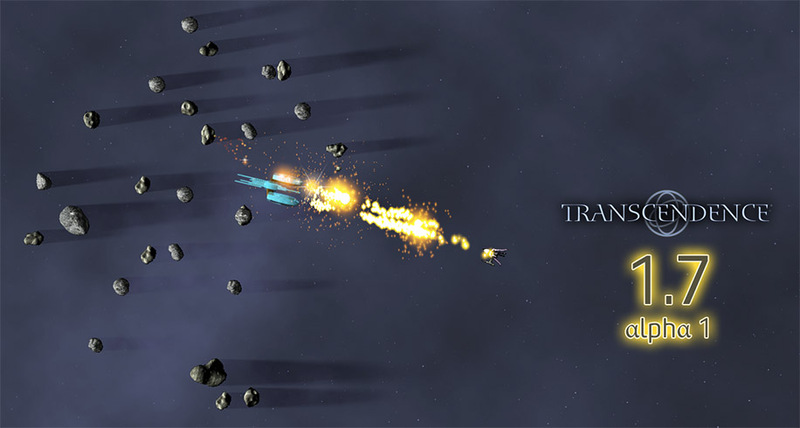 Vote for Transcendence on Steam Greenlight! Help us get on Steam by voting for us on Greenlight! 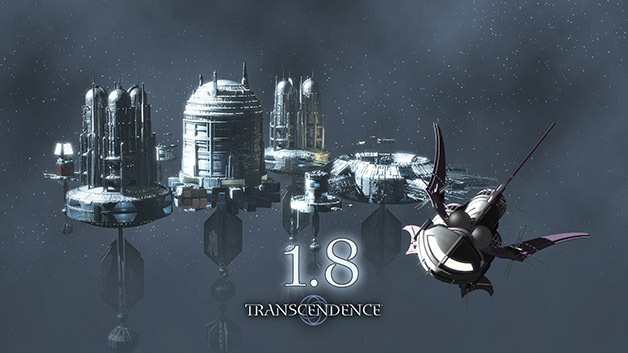 Transcendence 1.5 and Eternity Port! Today, Kronosaur Productions announces the release of Eternity Port, the latest official expansion for the indie epic game Transcendence. 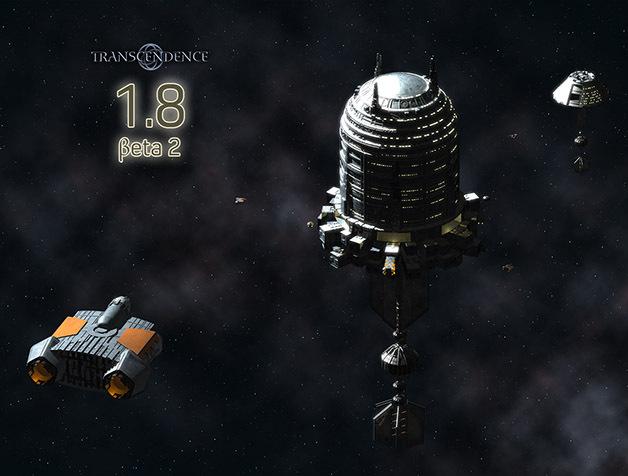 Transcendence 1.5 RC 2 is now ready to download! This is almost certainly going to be the release build later today. Added "external" display attribute for devices (so it shows up in inventory). Added <LightningStorm> effect (same as paralysis effect). Destination system is revealed (in galactic map) when the player sees a stargate. Stations can remove devices even if they can't install them. 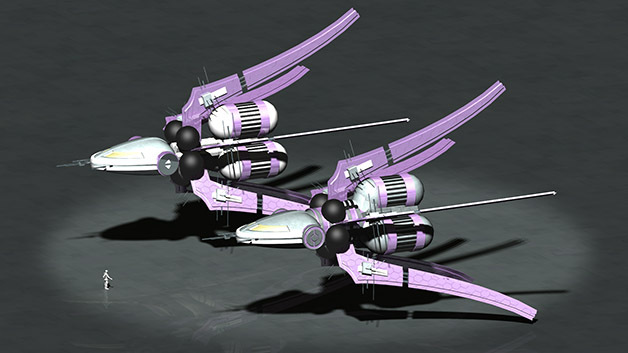 The Hercules class is a multirole ship, perfect for transporting cargo through dangerous territories. While it won't win a dogfight against a Wolfen or even a Spartan, the Hercules can easily outmaneuver an EI500. 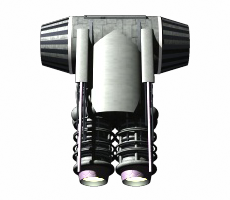 The Hercules class was developed recently by the United African States, and has grown in popularity among independent captains in the Near Stars. 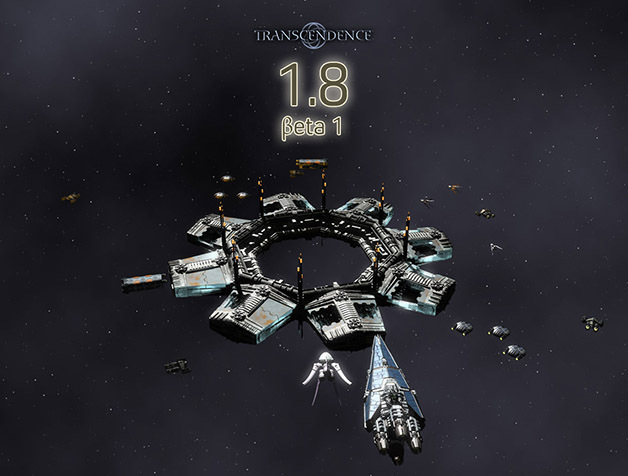 Transcendence 1.5 RC 1 is now ready to download! Added +property: to item criteria. 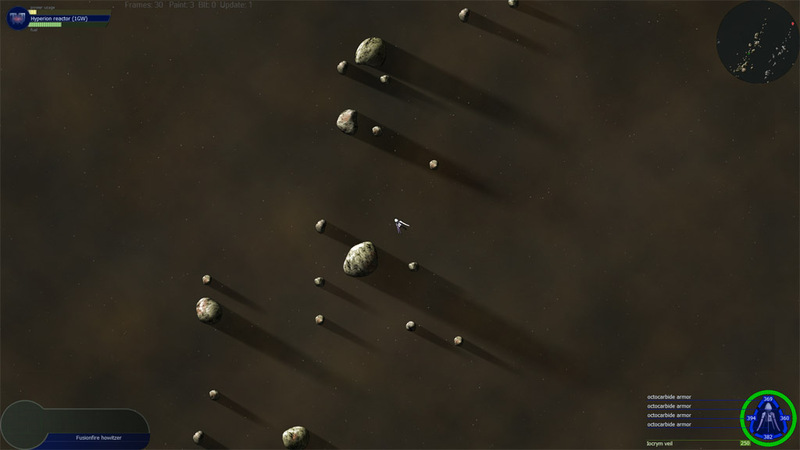 Added omnidirectional property to item types. waitForTarget order now takes a range and time. <Station> directive now ignores encounter limits. Added sovereign= parameter on <Station> to override sovereign. <GetDockScreen> now expects screen, [data], priority (consistent with <GetGlobalDockScreen>). 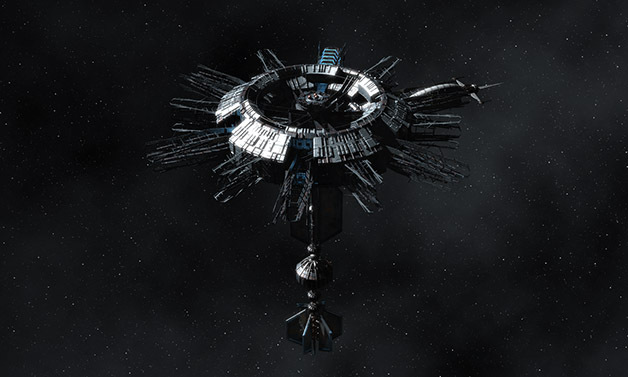 Stations now repair all friendly NPC ships, not just ships of the same sovereign. Fixed missing stations in St. Katharine's Star. Improved keyboard control for armor screens. Armor damage indicator updates properly now. Fixed bug with stations offering to install inappropriate items. Fixed inconsistencies in buying/upgrading at Commonwealth Fortresses. 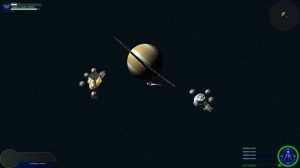 An old Ringers habitat floats high above Saturn. This is a screenshot from Eternity Port, the upcoming expansion. 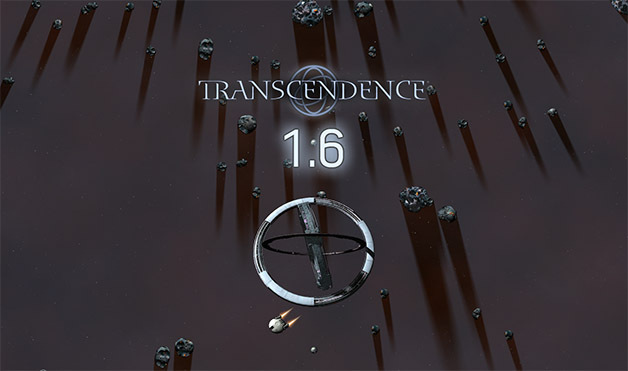 I'm happy to announce the immediate availability of Transcendence 1.5 Beta 1! 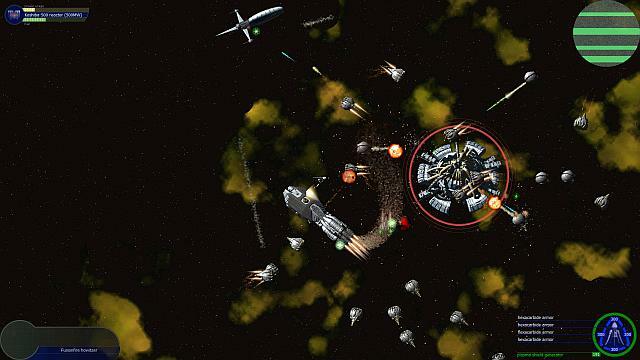 This version of the core engine is designed to support the upcoming Eternity Port expansion, but it also has many improvements for the core game, particularly for modders. 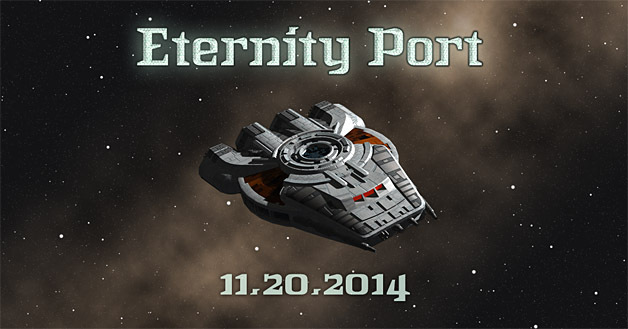 The Sirius star system is one of the new locations in Eternity Port. Sirius A is a bright, class-A star with a normal retinue of planets and asteroids. But several light-minutes away orbits an exotic star: Sirius B is a white dwarf with the mass of the Sun, but compressed down to the size of the Earth. Our very own Pixelfck has written an excellent tutorial on the basics of modding. 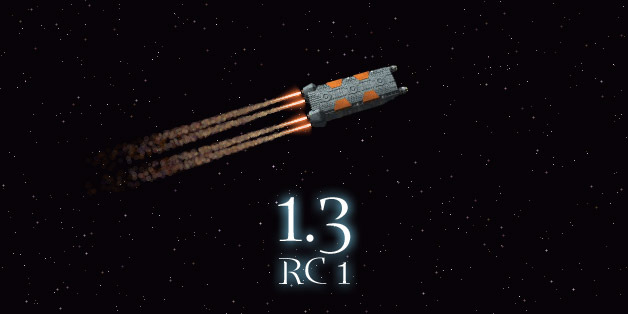 Suitable for beginners, the tutorial creates a new player ship class (based on the Hammerhead II-class gunship), and includes best practices for creating mods of any kinds. What is Transcendence? It is not a single game. 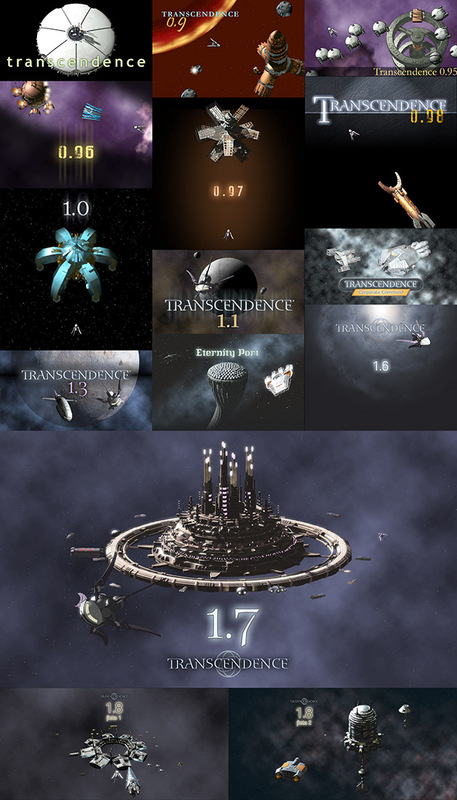 Transcendence is a universe comprising several interrelated storylines, set in a vast and detailed galaxy. 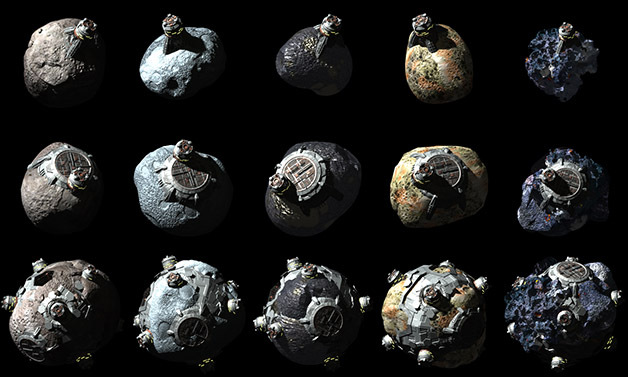 "Managing and upgrading your ship is one of the key components to surviving each sector of space. Do you spend some of your hard earned credits on a shield upgrade, or refuel? Do you invest in a missile launcher even though you won’t be able to install it until the next level? 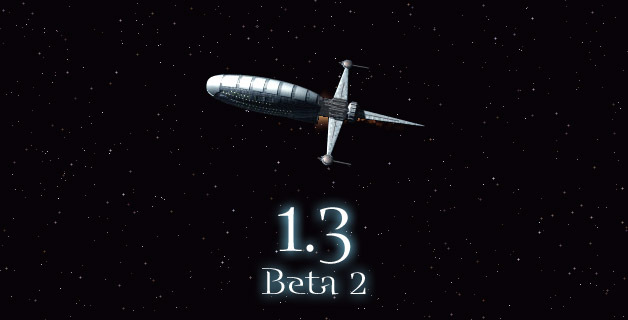 Each decision on how you upgrade feels appropriately tense and important and the game is sure to give you a small amount of latitude in the kind of ship you want to build." 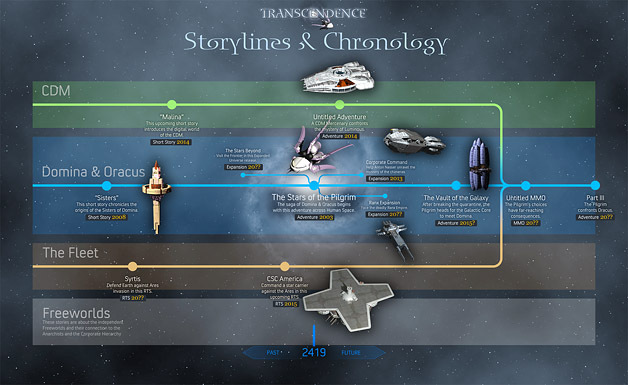 Read the whole thing at: http://teamprocreate.com/blog/reviewsgames/transcendence-stars-pilgrim/. 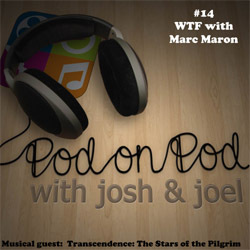 Michael Tangent's soundtrack for Transcendence was featured this week on the podcast Pod on Pod! For those of you who aren't familiar with it, Pod on Pod reviews other podcasts. They are part of the ProCreate network. ProCreate is a community of artists in film, music, digital arts, and fine arts. They "help community members expand their network so they can connect and collaborate with other artists." If you guys are looking to expand your network or for fellow artists with whom you can collaborate, you should check them out. A long time ago, when Transcendence was a tiny game with only a dozen weapon types, I kept a design document describing each weapon and its properties. Whenever I needed to design a new ship I just consulted the design document and picked an appropriate weapon. And then I added more weapon types. At first I just kept the design document up to date, but eventually the system fell apart. There were too many items and too many changes. And once the design document was out of date, it was useless to me. 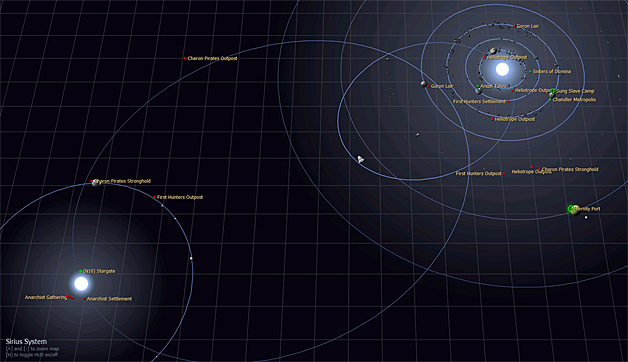 The current game mentions star systems like Centauri and Sirius. And of course, everyone wants to see what the Solar System is like in the Transcendence universe. I'm really excited to be finally implementing those systems and giving everyone a chance to visit them. 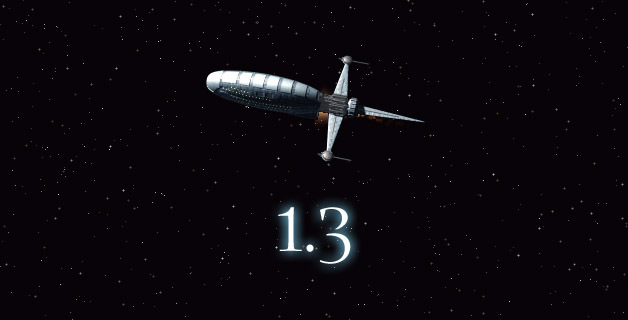 Kronosaur Productions is proud to announce the release of Transcendence 1.3, the latest and greatest version of the venerable game of space combat and exploration. We drifted towards the Dwarg settlement in silence. The light of Kinder's Star played across the struts and hull of the massive station and I could see the dark impact sites of Commonwealth missiles, scars from a battle only a few weeks before. Outsiders like me seldom get that close to the fearsome Dwarg, at least not without having to dodge xiphon cannon fire. But I wasn't there to launch an assault­—I was there to witness an ascension ceremony. In honor of the 10th anniversary of Transcendence's first public release, I'd like to show you all the new trailer for the game. Watch it in HD and crank up the volume! This new trailer is part of an upcoming marketing effort to promote the game, so please spread the link to anyone who might be interested. Thinking back to the 5th anniversary of the game makes me realize how far we've come. Back then, version 1.0 had not yet been released, there was no Multiverse or Corporate Command, and I was only working on Transcendence part-time. Five years ago I released an early version of Frontier, a precursor to Transcendence with a familiar look-and-feel. Now, to celebrate the 10th anniversary, Wolfy has created a new playable ship based on the Osaka class depicted in Frontier. The Osaka Expansion is available right now on the Multiverse! There is much for me to be thankful on this anniversary, which coincidentally lands on (US) Thanksgiving. As ever, the thing I'm most thankful for is the passion and dedication of this community. You all have made this game your own and created something much much larger than I ever envisioned. Thank you all and happy anniversary! Join our friendly and passionate community to learn more about the game.